Sheree Whitfield Receives Honorary Doctorate Degree! Who gonna check me boo?…Dr. Shereé Whitfield! 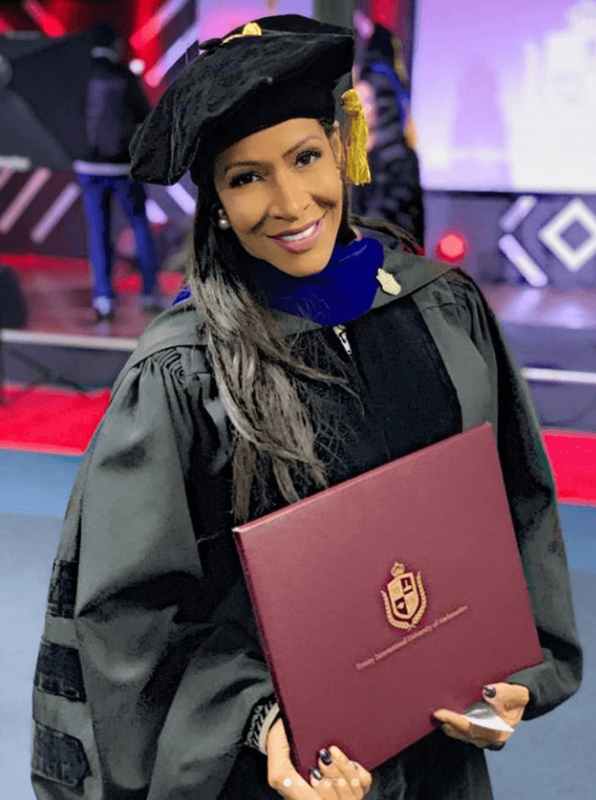 Shereé Whitfield received an Honorary Doctorate of Humane Letters from the Trinity International University of Ambassadors, and is elated over the prestigious fete. Over the weekend, The Real Housewives of Atlanta alum shared her prestigious accomplishment on social media. “Such an amazing and humbling day today receiving an Honorary Doctorate of Humane Letters! !” she wrote. “Feeling so blessed and favored!” Click through the photos below. The Joggers designer also suggested to new projects in the works. “I will continue to put in the work and I have so much more to do that I’m excited about… I can’t wait to share with u guys soon!” she teased. Let’s all wish the Chateau Sheree scholar a big congratulations! Kim Zolciak Accused of Photoshopping Husband Kroy Biermann’s Man Parts In Beach Flick!